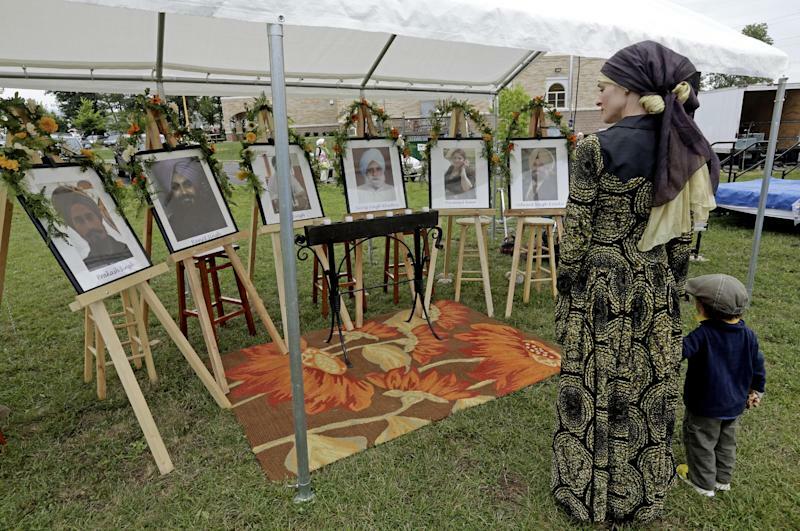 OAK CREEK, Wis. (AP) — Hundreds of people gathered Monday night to mark the one-year anniversary of a shooting rampage at a Wisconsin Sikh temple with a candlelight vigil in a field next to the very parking lot where two of the six victims died. Amardeep Kaleka, the son of one of the victims, said the turnout was greater than organizers anticipated. "People could have stayed home and watched TV but they wanted to be here together in the name of peace," Kaleka said. The crowd listened to speakers near a memorial that included pictures of the victims. The vigil brings to a close a weekend of events honoring the victims, who died 12 months ago when a white supremacist who didn't know them opened fire. The gunman, who wounded five other worshippers and an Oak Creek police officer, killed himself in the same parking lot. The shooting prompted an outpouring of support from around the world. 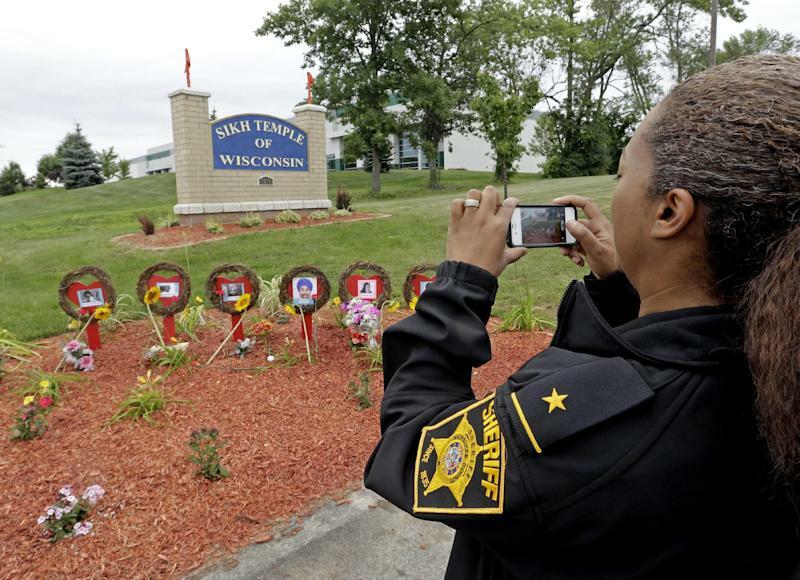 Donors from the U.S., India, Canada, England and elsewhere raised more than $1.1 million for the victims' families, many of whom left their possessions behind in India when they moved hastily to the Milwaukee area immediately following the tragedy. The relatives, along with other temple members, never reacted publicly with anger or calls for vengeance. On the contrary, several have used the tragedy as a call to action, urging community members to join them in waging peace. Pardeep Kaleka, whose father died in the shooting, formed an unlikely alliance with a former white supremacist. Together he and Arno Michaelis visit local middle schools and high schools, with Michaelis describing his former life of hate and Kaleka explaining how that sort of hatred led to pointless bloodshed. Other relatives have balanced their grief with the Sikh teaching of "Chardi Kala" (CHAR'-dee kuh-LAH'). The principle urges followers to remain optimistic and happy, even in the face of adversity, to show an acceptance of God's will. Monday's vigil was preceded by a 30 minute event calling for a reduction in gun violence nationwide. Participants read the names of victims of gun violence from across the country, including the six Sikh victims. Army veteran Wade Michael Page, who had ties to white supremacy groups, killed the six people at the temple and wounded five others before killing himself. FBI agents were unable to determine a motive. 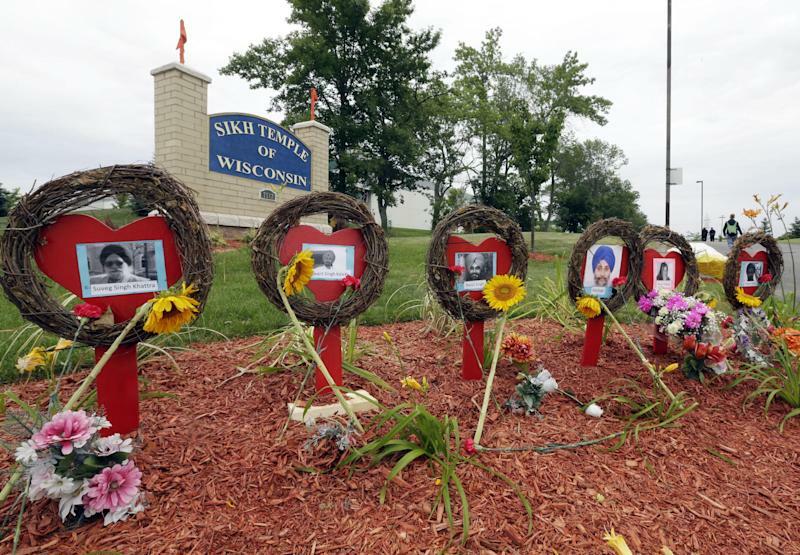 Attorney General Eric Holder announced last week that the Justice Department will begin keeping numbers on hate crimes committed against Sikhs and six other groups. He also announced a $512,000 grant for mental health and trauma services to those affected by the Oak Creek shooting, including survivors and family members. Dr. Rajwant Singh, the chairman of the Sikh Council on Religion and Education, called on Sikhs themselves to do more to prevent similar tragedies. He advised Sikhs to get more involved in their local government and school boards to increase their visibility within the community.